Did you Click on Benjamin Griffiths? What a coincidence that you just clicked on me. I was just preparing an exclusive offer for super-smart investors like you. This once-in-a-lifetime, money-for-nothing, solid-gold investment opportunity is sure to set you up for life. As you know, rubber wheels aren’t only used on cars. They’re on a multitude of products. But how boring do black tyres look?! That’s why my latest product will be the biggest thing since mobile phones. I’m developing rubber tyres in every colour under the sun. Think of all the kids that will want blue tyres on their BMX. The mums that’ll get pink tyres on their prams for Mother’s Day. The dads that will want maroon tyres on their mountain bikes. 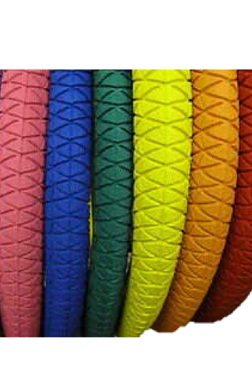 Every toddler will want coloured tyres on their trikes. This invention will be in every country in the blink of an eye. Keep your eyes on the newspaper for the latest developments and be prepared to invest your pocket money. You’ll be a billionaire before you start secondary college. You’d be a fool not to invest.